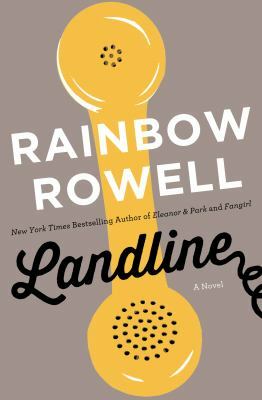 Landline is Rainbow Rowell’s second trip into adult relationships, following the release of Attachments. Having read two of her young adult books, I decided to give Landline a try, not knowing what I was getting myself into. Landline begins by introducing readers to Georgie McCool. 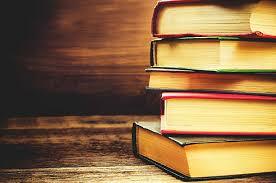 Georgie is a writer for a popular television sitcom. She lives in Los Angeles with her husband, Neal, and their two young daughters. On the outside, it looks like she has it all, but inside, Georgie knows that her marriage is in trouble. It’s not recent trouble, but something that seems to have been brewing under the surface for a long time. Two days before she is supposed to leave with Neal and the kids to head to Omaha for Christmas, Georgie and her writing partner find themselves under a pile of work that has to be completed as soon as possible. As a result, she is unable to head to Omaha for Christmas, something she knows will anger Neal. He is upset, but instead of the family staying in Los Angeles with her, Neal packs up the kids and heads to Omaha anyway. This makes Georgie worry if she has finally done the one thing that will make her marriage break apart. Is her marriage broken? Has she ruined it? Desperate to fix things, Georgie begins calling Neal. She never seems to be able to get a hold of him on his cell phone and her phone is always dead. Georgie digs a rotary phone out of her childhood bedroom’s closet and uses it to call Neal at his parents’ house. Their conversation is slightly off-kilter though and bothers Georgie. When she realizes why, she just can’t believe it. Georgie has found a way to talk to a past Neal. What she chooses to do with this will determine what happens in all of their lives. Bad Behavior has blocked 1880 access attempts in the last 7 days.